You can find out how to sign up for your free seeds for the contest (ages 5-12) at the Ready, Set, Grow Alabama website. We got our pumpkin seeds in the mail today because we signed up last year! We are ready to plant for the 5th annual Ready, Set, Grow Pumpkin Harvest Festival Arts & Crafts Fair pumpkin growing contest. Come join the fun as we celebrate the little Alabama growers with our 5th Annual Harvest Festival. Ready, Set, Grow! Pumpkin weigh-in 8-10 a.m.
Ready, Set, Grow! Pumpkin Party 10 a.m.
All proceeds go to the Ready, Set, Grow! 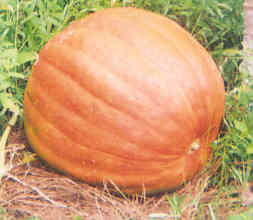 Pumpkin Growing Program for children ages 5-12. For more information contact Bubbles Bailey at 334-467-4593 or Connie Owens at 334-269-5622 or you may email readysetgrowal@yahoo.com or visit the website at www.readysetgrowal.webs.com.